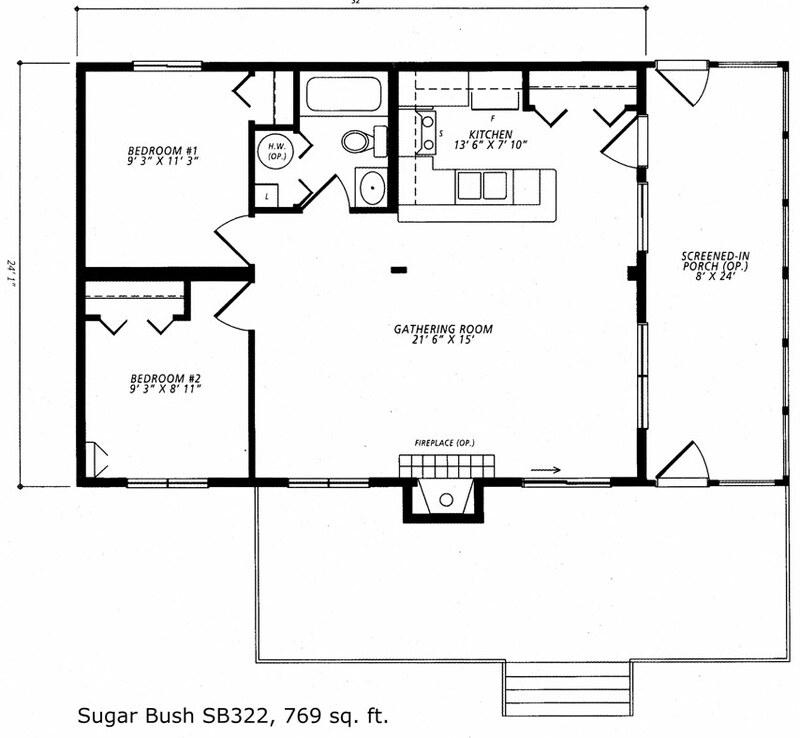 The Sugar Bush is a charming 769 sq. ft. cottage. With its large front windows and the optional screened-in porch, it’s perfect for a lot with a view. The expansive gathering room and adjacent kitchen with its built-in eating counter are designed for relaxed, family get-togethers. 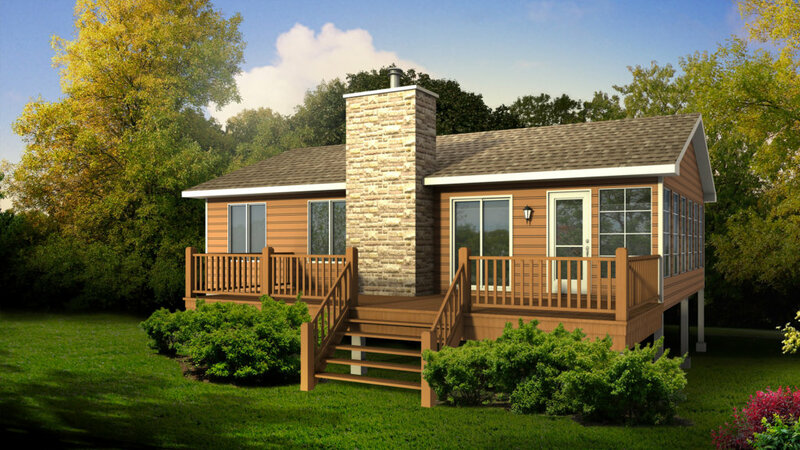 Add the optional gas or wood burning fireplace and front deck and just imagine the happy weekends and holidays you’ll spend with family and friends in this beautiful Sugar Bush home.